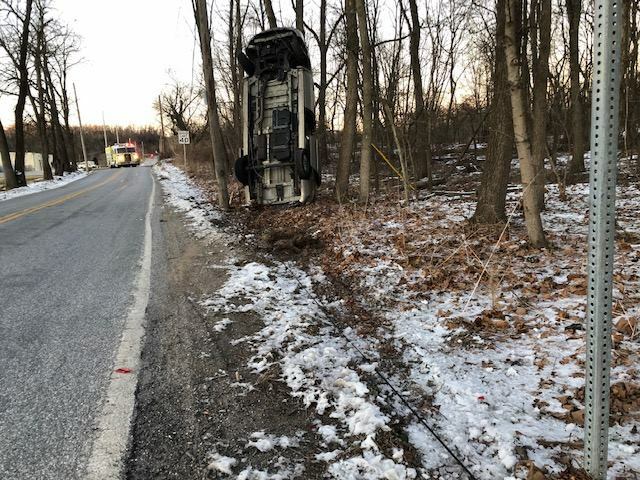 On January 21, 2019 at approximately 4:16PM Eastern Adams Regional Police say they responded to Mount Misery Road & Black Lane for a report of a single vehicle auto accident. According to authorities the the vehicle was travelling north on Black Lane at around 40 mph and made the right hand turn onto Mount Misery Road too wide without slowing and swiped the guardrail on the opposite side of Mount Misery Road before over-correcting and travelling across both lanes of Mount Misery Road and striking the guide cable to the utility pole. The vehicle followed the guide cable up the pole and the vehicle became vertical then spun on its rear tailgate striking the tree behind it at the top of the windshield, pinning the vehicle in the vertical position it remained in. 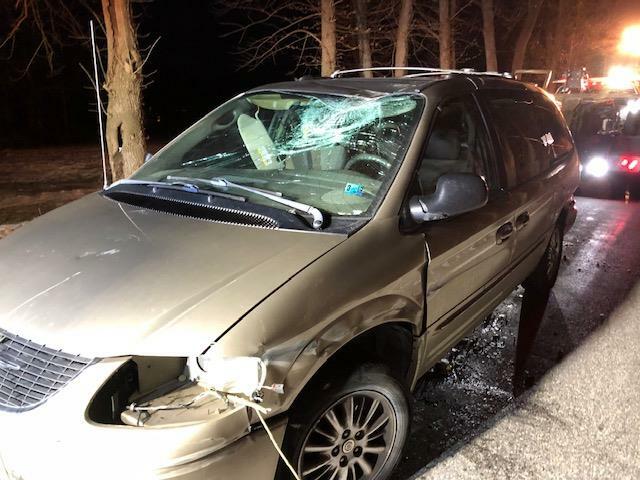 The only vehicle involved is a gold 2003 Chrysler Town and Country. 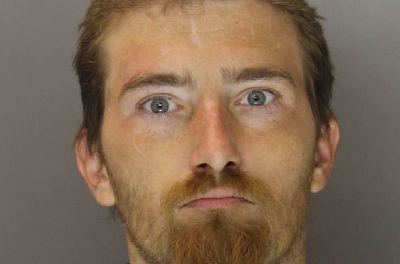 Officer Logan Hess spoke with the driver of the vehicle who told officer he was just taking off his glasses because they became foggy, handed them to his son to clear as he made the turn onto Mount Misery Road and over-corrected after swiping the guardrail, then hitting the utility pole guide wire. The driver said his son was able to get free immediately and get out the rear passenger sliding door, but he was stuck in his seat belt until he could get free and jump out as well. Police say neither the operator nor his son appeared injured and refused medical attention. Police say Met-Ed, Comcast, and Century Link were all contacted to make repaired to their lines and pole.